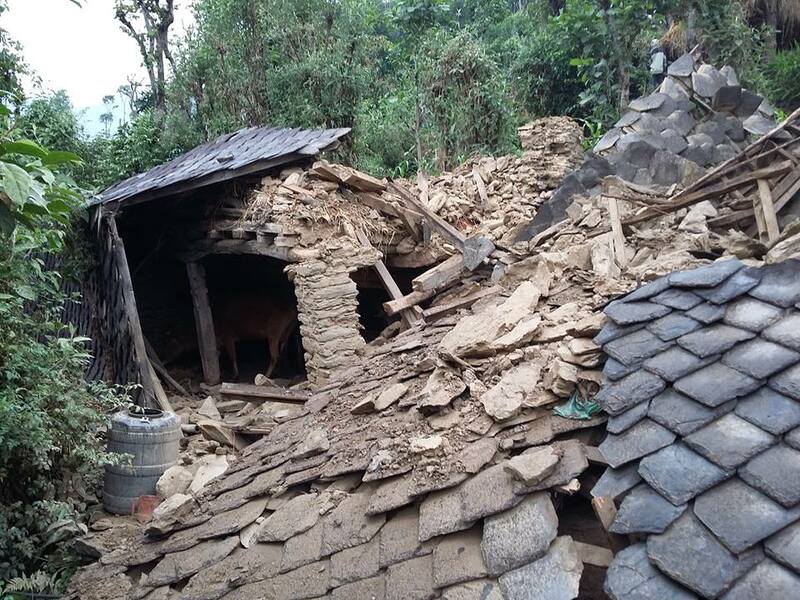 The Colorado Nepal Alliance is sending tarps, rice, and medical supplies to Darkha, Nepal, which was devastated by a 7.8 magnitude earthquake on April 25. Darkha is only 12.5 miles from the quake epicenter. Every building suffered significant damage, and many collapsed entirely. Families are sheltering in fields with minimal protection from the weather. The monsoon rains will arrive in early June. Colorado Nepal Alliance’s in-country coordinator, Gopal Tamang, arrived safely in Kathmandu on Thursday. “The people are crying everywhere,” reports Gopal. Sixty-eight deaths have been confirmed, although bodies are still being recovered. Many of the injured were carried by hand to Dhading Besi, a city that takes six to eight hours to reach under normal circumstances. The most critically injured were then transported to Kathmandu. Gopal reports that there has been no assistance from the government or any international NGO in his area. That’s where the Colorado Nepal Alliance can help. Each large tarp, (made of tent material), costs $30, and more donations are needed to provide enough shelter for the residents of this region. Low cost blue tarps are not available in-country.The rebuilding efforts are expected to take years.